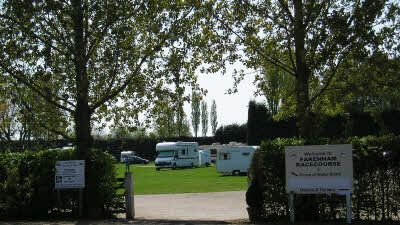 Fakenham Racecourse Club site offers a variety of pitches which are spread over four self-contained areas. 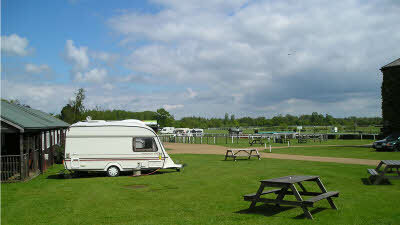 Some pitches are sheltered by conifer belts, some enclosed within the setting of the racecourse paddock and some line the rails overlooking the Racecourse and Golf course. The park offers both relaxing and energetic holiday attractions for the whole family. Set in comfortable and picturesque surroundings, Fakenham Racecourse Club site has excellent facilities and the attractive market town of Fakenham is a conveniently short distance away, giving easy access to the local shops and market and auction held every Thursday. There is a frequent bus service from the town to various destinations including the nearby seaside resort of Wells-next-the-Sea. 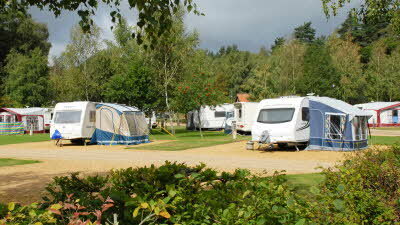 The site is also an ideal base for exploring Norfolk’s varied attractions and rural scenery. 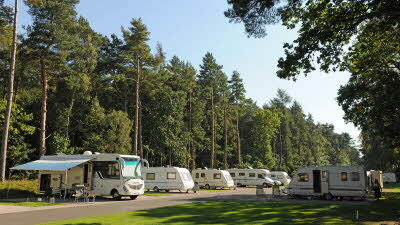 We are pleased to announce that Visit England has recently rated us as 4 star. The nearest National Cycle Network route to this site is route number 1, Felixstowe to Boston. Nearest supermarket is 1 mile. On approaching Fakenham from any major route follow the brown and white racecourse signs with symbols of caravan and tent which all refer to this site. Fakenham Racecourse 2019 Race Days: For more information visit the Fakenham Racecourse website. Members are welcome to stay on site during race meetings, but are required to move to the centre of the course, no electric hook ups, for the duration of the racing. If staying for two days or more you will be issued with complimentary tickets for the course enclosure. New arrivals cannot access the site until after the racing has finished. We couldn’t stay here again, sadly, as we were awakened at the crack of dawn by the sound of crows in the trees above. And i’m Not just talking about one or two birds. They carried on non-stop through the entire day until sunset. Plus the racecourse ground staff were watering the track, using a constantly clunking agricultural sprinkler all day long. Peaceful? No way. Spent 6 nights here in mid August, location is good, however facilities are not up to Caravan Club standards, whilst we were there a number of people asked for refunds as the toilet facilities were dirty. I cannot confirm to as we use our own. Over all staff were helpful but it’s facilities need up dating. 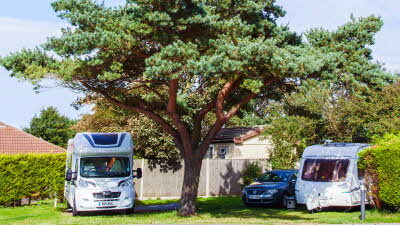 We spent four nights at this site last week; we try and get up to Fakenham Racecourse at least twice a year as it is so convenient as a base for visiting the coast and other local market towns. The facilities are clean, the pitches of a good size and the staff always very helpful.We have been visiting this site for at least 10 years and always enjoyed it. The site is primarily a racecourse and allowances must be made for this fact. 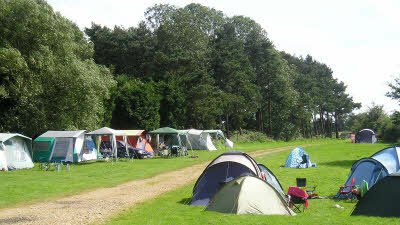 However the site itself is very pleasant and is within easy walking distance of Fakenham itself. There is a golf club by the racecourse with a clubhouse, which is open to caravanners and serves meals and a selection of beers etc. There are also plenty of pubs/restaurants in the local area. 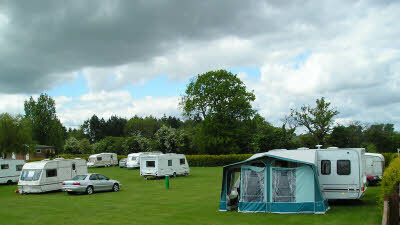 We only booked this site at the last minute, so we were limited to what camps were available for the Easter weekend, so we ended up with fakenham. We booked our pitch online, and after our booking had been placed and our money taken, we then received an email to state that we had to be off the pitch by 9 on Monday due to a race taking place. Next, we then received another message to say that due to heavy rain, our chosen pitch was flooded and for us to choose an alternative option to either another grass pitch or hard standing. Obviously due to the weather we chose the latter. 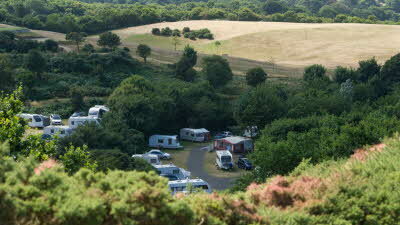 After arriving later than usual to the site, we were greeted by a gentleman who showed us to our pitch - next to the Bet Fred shed, and on a slope, Well, what a disaster, as it was difficult to get the caravan level. 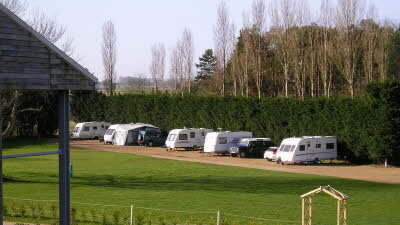 All other caravans near us were all over the place, no proper pitches. The facilities, i.e., waste and water and chemical point are all over the place and not near one another at all. The toilet block was adequate but could certainly do with updating and visiting at night was creepy as the site does not have lights at night. As previously said, site out of the way and every day we ventured out, it was over an hour away each way. Very disappointed and would most certainly not recommend or visit again. We decided on the Saturday Morning to take our dog away for the first time , so rang the site and the lady was very helpful , she reserved me a pitch right by the Grandstand with no one else around , pitch 35 which was right next to the race course lovely spot. As she told me when we arrived Saturday afternoon the office was closed but a welcome pack was waiting by the door , and we were greeted by the Warden , who was a friendly old chap and very helpful , there were only about another 6 campers there when we were , so it was very quiet and peaceful which suited us with the dog , we had a lovely pitch , hook up for electric and TV and free wifi with a good signal ! The toilet block which was accessed with a fob was basic , but big , very clean and heated .We used the showers in the morning and the hot water and power was fine. Dog walking area (basically a big field) was close by and it was interesting to walk around the racecourse when it was empty. There is a social club near the entrance which we didn't use this time , but I believe they do meals and cheap beer which is accessible to campers. All in all we really liked it there and will probably use again , it was ideal for us taking our dog with us for the first time to get him used to motorhome life ! Thumbs up from us ! 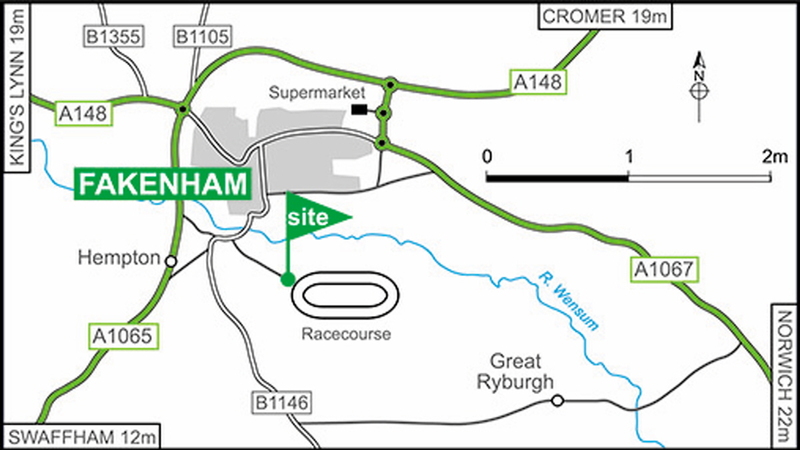 Enjoy racing at Fakenham Racecourse. Visit the Fakenham Racecouse website for the most up to date information.